Edited by Kansas Historical Society archaeologists Robert J. 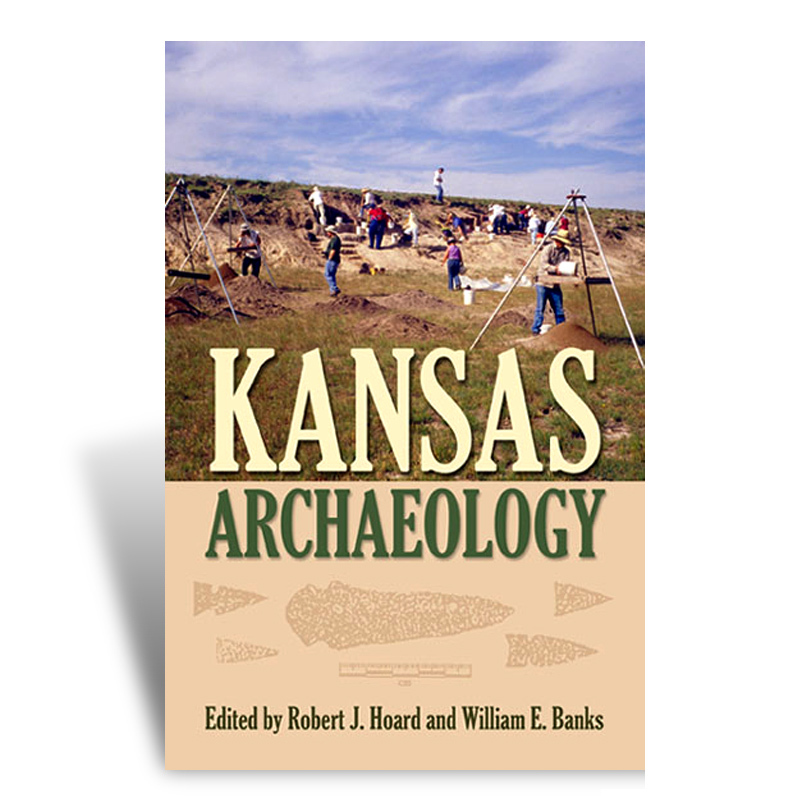 Hoard and William E. Banks, this volume presents a comprehensive overview of Kansas archaeology. These distinguished contributors, all experts in their fields, synthesize what is known about the human presence in Kansas from the earliest times to Euro-American contact in the mid-19th century. Covering such sites as Kanorado-one of the oldest in the Americas-the authors review prehistoric peoples of the Paleoarchaic era, Woodland cultures, Central Plains tradition, High Plains Upper Republican culture, Late Prehistoric Oneota, and Great Bend peoples. They also present material on three historic cultures: Wichita, Kansa, and Pawnee. The findings presented here shed new light on issues such as how people adapted to environmental shifts and the impact of technological innovation on social behavior, 2005, 33 photographs, 432 pages, cloth.